Your one-stop solution to all scalp related issues! 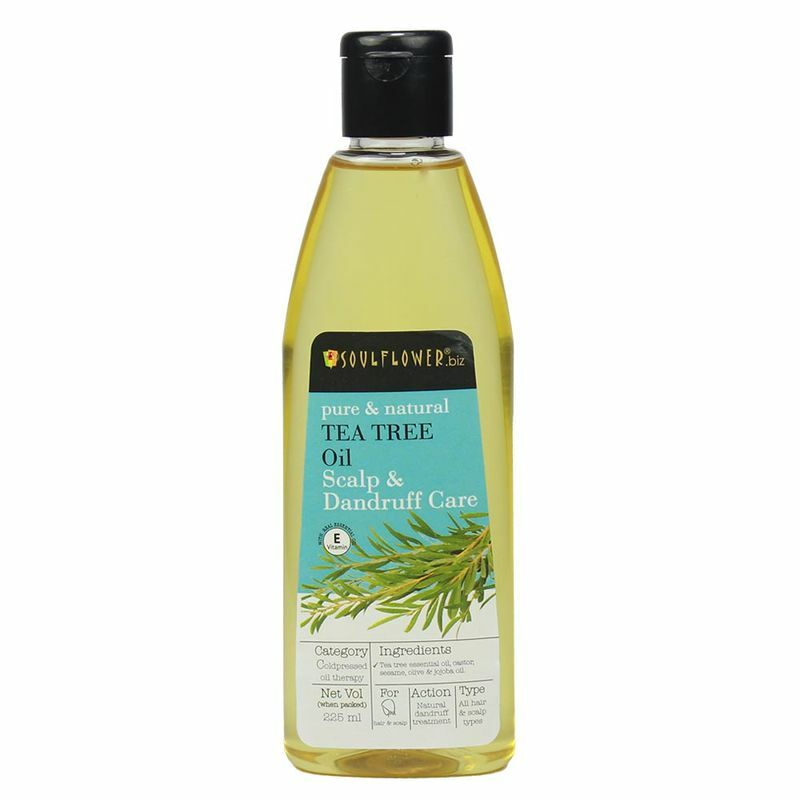 Soulflower Tea Tree Oil is a complete scalp care formulation enriched with vitamins and other essential nutrients. Traditionally known for its therapeutic scalp care applications, this natural dandruff remover oil cleanses your scalp, removes flakes, relieves itchy scalp and dryness by providing an extra condition to your hair. Infused with the goodness of castor, olive, jojoba and sesame oil, this natural oil soothes dryness leaving your hair and scalp nourished and refreshed. Tea Tree Essential Oil is famous for removing dandruff naturally and controlling scalp sebum secretion.